Digital billboard advertising, made easy. Choose your boards, upload your ads, make your impression - start with any budget. 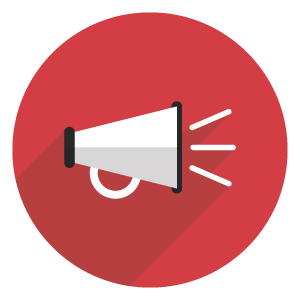 Are you looking to attract new customers, promote your business, stand out from the competition, or reach local customers? 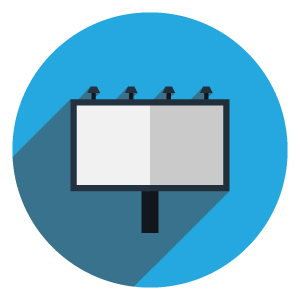 Outdoor advertising costs less than radio advertising, TV advertising or print ads on a cost per impression basis and allows you reach the right audience at the right time. Do you want to tap into new small and medium sized business owners, social media and digital advertisers? Free sales tool that enables your LED display or digital billboard for online and 24/7 sales. Join the largest and fastest growing on-line national digital billboard network. I'm continuously impressed by the company's ability to develop and innovate quickly in this fast-paced at tech market, and I believe it will be a game changer for many of Fliphound's customers on the platform - I think this is awesome! Fliphound allows us a creative and economical way to advertise our events, fundraisers and awareness for our cause. We love the flexibility of updating designs and the ability to pay-as-we-go! Because of digital billboards our fans are kept up-to-date on the Thunder's schedule and promotions throughout the season. I can change artwork at any time and display ads through the Wichita market. Going digital gives us the opportunity to be creative and strategic with outdoor ads. We have the flexibility to change our message frequently, and that feature allows us to keep our ads fresh. Digital outdoor boards help us share the Freddy's love with everyone in Wichita. Fliphound gives Parks Motors the freedom and flexibility to create our ads, craft our message and get that message in front of our target audience immediately! With Fliphound, Parks has the ability to change that message “on the fly” for more immediate promotions. Fliphound, your outdoor advertising expert, serves hundreds of businesses and manages thousands of campaigns each year. Create your own billboard greeting card. Billboard greeting cards, or FlipCards, can be created to show someone you care for any occasion. Pick a card and sign it, choose your boards, then post it to our billboards. We will notify them when it begins running. 95 percent of Fliphound advertisers would recommend to a friend or business partner.